We are in a volatile market, the news and information is conflicting (good and bad) and relevant institutions are stepping in to save the day. Personally, I believe the current climate is the “new normal” and the data will remain weak – requiring brave and effective strategy from the ECB, IMF, US Federal Reserve, etc. I believe and expect this will happen – and my thoughts are the only solution to the debt scenario on a macro scale is time and inflation (eroding the value, if not the size, of the debt). This is not a quick solution but in time I believe will be effective. Ben Bernanke, chairman of the US Federal Reserve has announced on Thursday 13.09.2012 extending the Quantative Easing Programmes and launches QE3 – the buyback of mortgage related securities – a further $40 Billion each month. This is in addition to the $45 Billion Twist Programme already in existence. This is hoped to bolster buying by the American people as they see signs of prosperity through house valuations and a better environment. This coupled with low-interest rates and accepting higher inflation – a loose monetary policy beyond 2014 into 2015 – he plans will lead to improving prospects in 2013 & 2014. Growth in the US economy between April and June has been revised downwards. Gross domestic product (GDP) in the second quarter grew at an annual rate of 1.3% in the second quarter, down from the previous estimate of 1.7%. Most of the UK’s major banks sign up to the new Funding for Lending scheme, which aims to stimulate the economy by making cheaper loans available. The UK economy shrank by less than thought in the second quarter (0.4% in the April-to-June period), the Office for National Statistics (ONS) said in its third estimate of gross domestic product (GDP). The ONS had initially estimated a contraction of 0.7%, before revising that to 0.5% last month. UK service sector bounced back in July, raising hopes of an economic recovery in the third quarter of this year. The ONS said services output, covering a range of sectors from retail to finance, rose 1.1% on the month. However, this followed a decline of 1.5% in June which was affected by the extra Diamond Jubilee bank holiday. The service sector accounts for about 75% of UK economic output (GDP). Its performance is an important guide to the direction of the overall economy. All the main areas registered increases in activity in July, with the category covering retail, hotels and restaurants showing the biggest rise of 1.8%. Business services and finance output was up 1.2%. French unemployment has topped three million for first time since June 1999, as the economy continues to struggle. France has unveiled its budget for 2013, avoiding big austerity spending cuts in favour of higher taxes on the wealthy and big businesses. 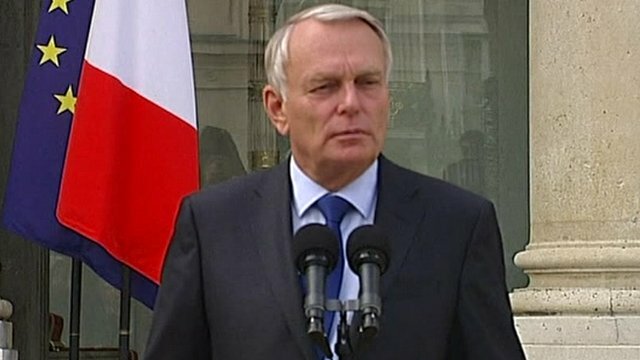 French Prime Minister Jean-Marc Ayrault confirmed that there is to be a new 75% tax rate for people earning more than 1m euros (£800,000; $1.3m) a year. But he insisted that nine out of 10 citizens will not see their income taxes rise in the new budget. The government plans to raise 20 Billion Euros in extra revenue. That compares to 10 Billion Euros in spending cuts. The emphasis on tax rises is a policy of the new French President Francois Hollande that is against the prevailing mood of Europe where countries from Ireland to Greece are slashing spending to try to placate investors and lower borrowing costs. 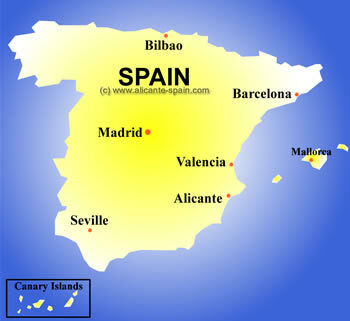 Spain has set out its austerity budget for 2013, with new spending cuts but protection for pensions, amid a shrinking economy and 25% unemployment. There are expectations that the country will soon seek a bailout from its Eurozone partners. Spanish police ringing parliament in Madrid fire rubber bullets at protesters taking part in a mass rally against austerity. Spain’s banks will need an injection of 59.3bn euros ($76.3bn; £47.3bn) to survive a serious downturn, an independent audit has calculated. The amount is broadly in line with market expectations of 60 Billion Euros, and follows so-called stress tests of 14 Spanish lenders. Much of the money is expected to come from the Eurozone rescue funds, the current EFSF and the future ESM. 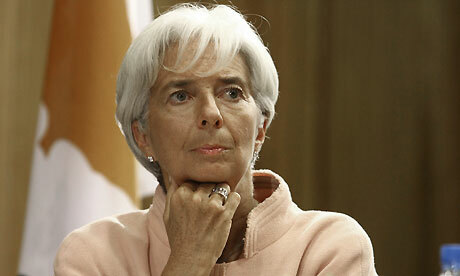 Spain said in July that it would request Eurozone support for its banks. The Spanish banking sector has been in difficulty since the global financial crisis of 2008, and the subsequent bursting of the country’s property bubble and deep recession. Greek police fire tear gas to disperse anarchists throwing petrol bombs near Athens’ parliament during a day-long strike against austerity measures. Greek finance minister Yannis Stournaras says the three parties in the country’s governing coalition have reached a “basic agreement” on the austerity package for 2013-14.
International Monetary Fund head Christine Lagarde has warned Argentina it could face sanctions unless it produces reliable growth and inflation data. The International Monetary Fund looks likely to cut its forecast for global growth next month when it updates its projections for the world economy. Japan’s industrial output fell more than expected in August, as cars and electronics suffer from weak global demand. Investment/Pension Portfolios – we are well positioned for this volatility and expect this to lead to profitability. I am in the process of a client by client investment audit and in some cases we are adding additional asset classes to diversify the investment risk. To all my clients, either thank you for your involvement and help; and to all of those I will see shortly – I will explain my thoughts to you in our meeting.